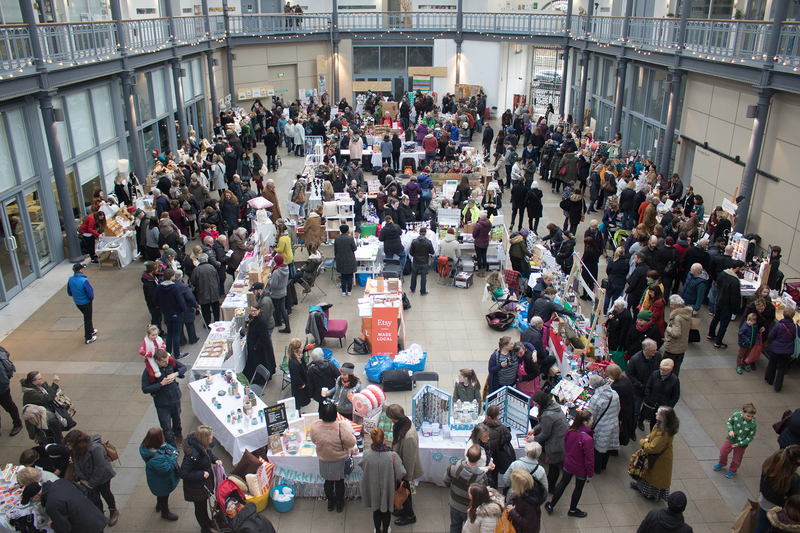 I was absolutely delighted to be selected to have a stall at the annual Etsy Made Local Christmas market which ran in 2016 for the second year running. Having only re-opened my Etsy shop in May this year, following a break in which we bought our first house and spent some time moving and getting settled in, I wasn’t sure that I would be “experienced” enough to be considered for a stall. However, the Glasgow Etsy team leaders must have seen something good in my shop/products and gave me the chance to showcase my work at the event. The run up to the event was quite nerve-wracking. Having only done a few (smaller) markets previously I really wasn’t sure what to expect. The feeling was echoed by lots of my fellow Glasgow Etsy team members who were also “newbies”. We had heard lots about the previous year and the large number of shoppers. I spent the whole of November squeezing in as much sewing as a could so that I had plenty of stock to take with me. Worst case scenario and I didn’t sell much would mean that my shop would get a good stock up at the start of the year. The day of the event arrived and with the help of my mum we arrived at our allotted time slot, got into the venue and began setting up. The atmosphere was electric and the doors hadn’t even opened. All of the makers were busy around us setting up and despite the low temperatures we didn’t feel it with all the excitement. Just as we had finished setting up and were about to have a wander round the other stalls before opening it was announced that the doors were going to open early as there was a huge queue of shoppers outside. Things just got real! From doors opening until the end of the day it was all just a blur. The flow of customers was continuous for the entire day with so many lovely people stopping by to say hello and pick up items for themselves or for Christmas gifts. I only managed a brief bathroom break at some point during the afternoon when I managed to whizz around the venue – the smiles on everyone’s faces just summed up the whole day. 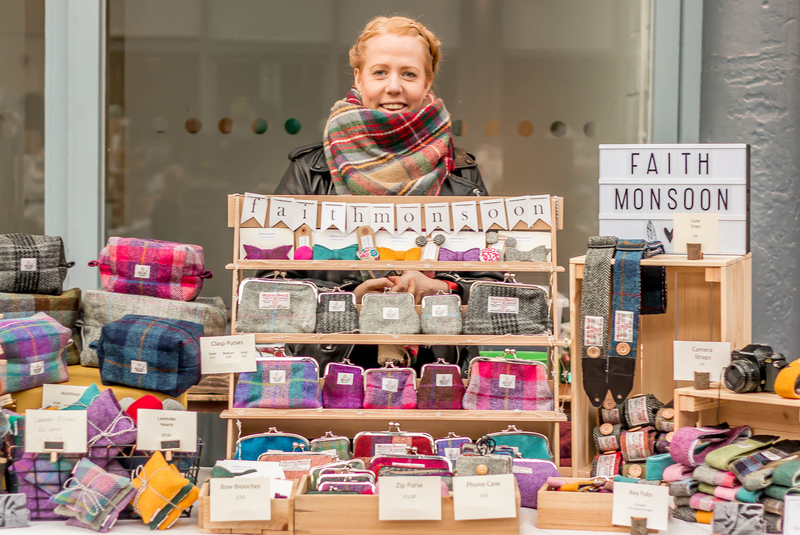 Fun times surrounded by a wonderful bunch of local makers!